Sign into Goodreads to see if any of your friends have read Farming in the First Millennium AD. 14.5% "This is a dense book. 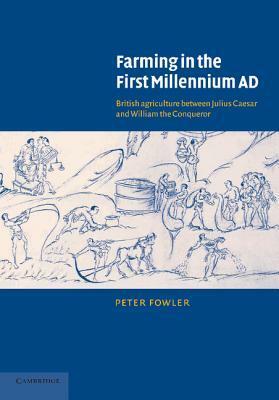 So far, in the first few chapters (1 - 5,from inference), the focus has been on laying out the framework for the study and giving a history of the development of 'agrarian history' as a distinct field of inquiry. Once I got used to the professor's style of writing, I'm finding his humor to be quite droll." 68.45% "The actual "text" of this book ends at page 295. The remaining pages are taken up with appendices, a 38 page bibliography and a 27 page index. :) This book is not going back to the library before I copy down a number of titles (from Appendix 1 (Suggested readings by chapter, and the bibliography)! :)"